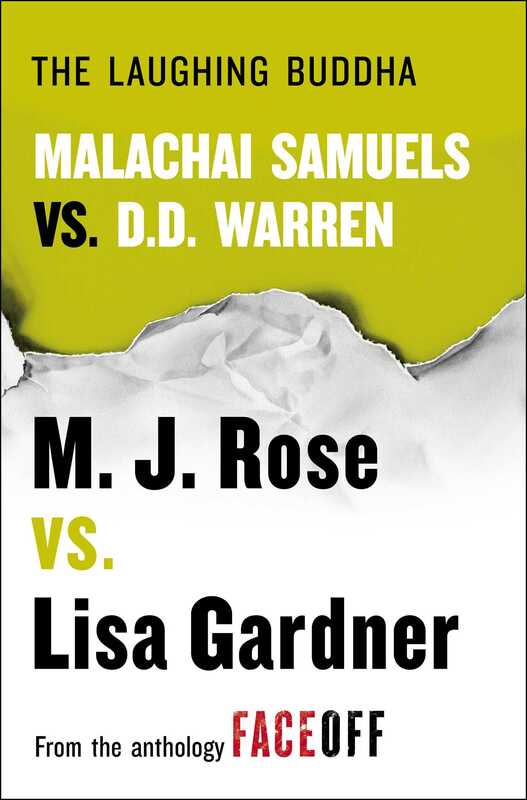 In this short story from the New York Times bestselling anthology FaceOff, Lisa Gardner and M.J. Rose—along with their popular characters D.D. Warren and Malachai Samuels—team up for the first time ever. Sergeant detective D.D. Warren gets called to a murder scene in Boston’s colorful Chinatown neighborhood. An antique dealer specializing in ancient Chinese artifacts—ceramics, jade, and stone carvings—is dead from a single gunshot wound. Although he appeared to have no known enemies, Mr. John Wen did have a business card clutched in his cold, dead hand. A card bearing the name Malachai Samuels. A Jungian therapist specializing in past lives and regression therapy, Samuels has also been named a “person of interest” in recent criminal cases involving stolen artifacts. And there is an eight-inch, solid jade Buddha statue missing from Wen’s office. D.D. Warren will have to pay Malachai Samuels a visit—the question is, is he the killer, or can he simply help her find out who is?